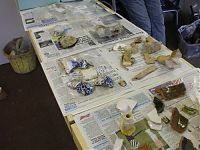 Prescot Dig - Do archaeologists dig up a lot of treasure? 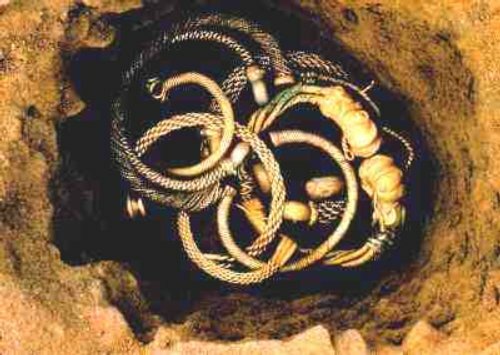 Every visitor to an excavation will ask the archaeologist if they have found gold. This is the most common question that archaeologists get asked. 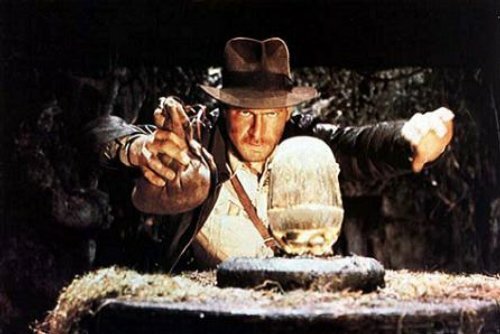 Many films and books show archaeologists digging for treasure. Whilst this is a romantic piece of fiction, there is some truth in it. 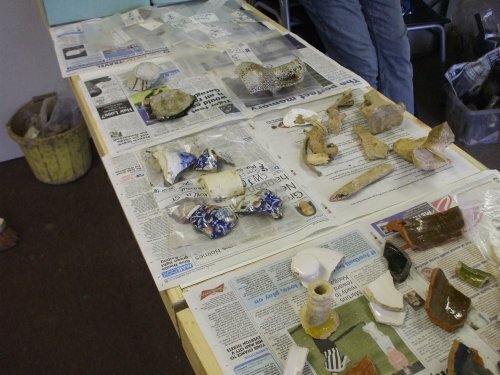 Archaeologists examine many different sorts of material found at archaeological sites. On rare occasions, archaeologists do indeed find ‘treasure’. However, to most regular archaeologists, ‘treasure’ can be anything that tells us more about how human beings lived and died in the past, and how they used their surroundings. So pottery, flint, and pollen can be just as exciting as jewellery or coins. Most people that lived in the past did not own fine jewels, gold statues or hoards of coins. And often, simple things such as pottery, seeds and pollen can tell us much more about how things changed in the past, what people ate, what their landscape looked like and where they lived than gold or silver objects ever could.